A sector fund is a mutual fund or an exchange-traded fund (ETF) that invests primarily in one industrial sector of the economy. The technology sector is a category that includes technological businesses, such as manufacturers producing computer hardware or software, or electronics and technological service industry companies that provide information technology and business data processing. Investing in technology mutual funds can be a smart way to tap into what might be the best long-term growth bet of the century. Technology is the greatest driving force behind the U.S. and world economies. And the best way to tap into tech stocks is with mutual funds that concentrate their holdings in this growth sector. Some examples of technology companies include Apple (AAPL), Microsoft (MSFT), Google (GOOG, GOOGL), and Facebook (FB). Perhaps the greatest advantage of buying technology mutual funds is that investors can gain access and exposure to dozens or even hundreds of technology stocks in just one fund. Another advantage is that the investor doesn't have to spend time researching and analyzing individual stocks. She can instead buy a low-cost index fund or a top actively managed fund that concentrates its holdings in a number of technology stocks. To come up with a list of the best technology funds available, we've eliminated funds that charge loads and those that have high expense ratios. We then considered other key criteria, such as long-term performance record and manager tenure for actively-managed funds. FSPTX might be the best overall mutual fund to buy if you're looking for an actively-managed fund. The performance for all the main timeframes—1-, 3-, 5- and 10-year returns—places FSPTX significantly ahead of the average fund in the category of technology sector funds. The manager, Charlie Chai, has been at the helm of FSPTX since January 2007. The portfolio consists primarily of large-cap technology names like AAPL, FB, and GOOG. Expenses are reasonable at 0.75 percent as of January 2019, or $75 for every $10,000 invested. PRGTX is an outstanding choice if you're looking for a diversified technology sector fund that invests in tech stocks around the world. Performance has historically outpaced major benchmarks, especially for the most important time periods: the 3-, 5-, and 10-year annualized returns. Expenses are 0.89 percent as of January 2019. Like many actively managed funds that are responsibly managed, PRGTX tends to close to new investors when assets grow large. Be sure to check that the fund is open to new investors before making this fund your final selection. CMTFX is a well-managed technology mutual fund that invests in tech stocks around the globe. Like the other technology funds on our list, CMTFX has a consistent track record of beating category averages. The expense ratio is 1 percent. 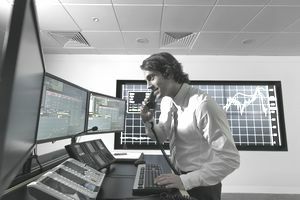 Fidelity offers a few high-quality technology funds that invest in niche areas of technology, and FSELX is a standout. You'll typically see stocks of firms that manufacture semiconductors performing well when computers and similar hardware devices are selling well. Examples of FSELX top holdings include Intel Corp (INTC), Qualcomm (QCOM), and Nvidia (NVDA). Expenses for FSELX are 0.75 percent as of early 2019. Another specialty technology fund from Fidelity that you might want to keep on your radar is FSCSX. It concentrates its holdings in the tech sub-sector of software and information technology. A famous example of software is Microsoft (MSFT), and you might think of Salesforce.com (CRM) for information technology. Both of these are top holdings in FSCSX. Short-term performance for FSCSX is not consistent, but the long-term performance—10-year annualized return—is better than over 90 percent of technology mutual funds. The expense ratio is 0.73 percent as of January 2019. This tech sector fund from Vanguard will appeal to wealthy investors who want a low-cost, passively managed mutual fund, but everyday investors will be priced out of this gem with a minimum initial purchase of $100,000. There's good news, however: A Vanguard ETF version (ticker VGT) has the same low expense ratio of 0.10 percent. Yes, BGSAX does have a front load, but BlackRock offers a load-waived version of the fund that's often found in 401(k) plans. BGSAX shares all the qualities of our top technology funds with exception of the expense ratio—it's a bit high at 1.17 percent in January 2019. If you're able to buy one of the share classes with lower expenses, however, BGSAX is an outstanding technology mutual fund. Technology is an aggressive growth stock category, so potential investors should keep in mind that price volatility—ups and downs in value—can be more pronounced at times than a more diversified fund like an S&P 500 Index fund. But higher potential returns are possible with greater risk. Investors thinking of buying a technology fund should be willing to accept fluctuations in their account balance. The information on this site is provided for discussion purposes only and should not be misconstrued as investment advice. Under no circumstances does this information represent a recommendation to buy or sell securities.